Located on the Ganges River in the state of Uttar Pradesh, Varanassi, more commonly known as Benares, is the most sacred of cities for both Hindus and Jains and the perfect place for a spiritual journey, home to various temples and rituals. As such it is a very popular location for many Bollywood films, most recently Raanjhanaa starring Sonam Kapoor and Danush. Varanassi. It is believed to be the city of Lord Shiva. 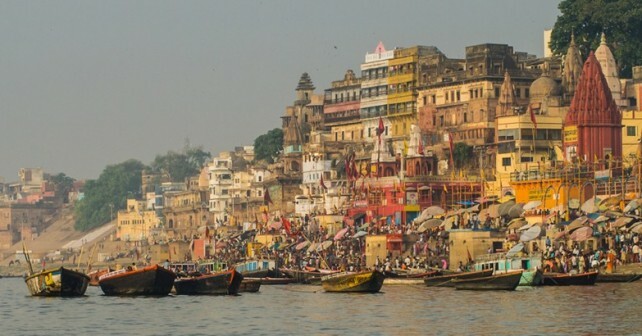 Varanassi is known for its ghats where bodies are cremated in the Ganges. The belief is that if you die in Benares you will be freed from reincarnation. The Mahabodhi tree is incredibly important to many people. This is because of its story; around 500BC Prince Siddhartha came upon this Bodhi tree, meditating under it for 3 days. When he arose he was enlightened and had answers to many questions he was seeking. Today, a temple surrounds the original tree and is a UNESCO World Heritage site too. Situated at the base of the Himalayas, Haridwar is a timeless mystical destination, which is known as one of the seven holiest places in India. It is said to have been blessed by three Hindu Gods; Lord Shiva, Vishnu and Brahma. Millions of pilgrims come to bathe in the Ganges to cleanse their sins. The Vaishno Devi Temple is one of the oldest temples throughout the whole of India, located on the holy hills of the Shivalik Hill range. Millions of people travel to Vaishno to be blessed by Vaishno Devi. The shrine of Vaishno Devi consists of three divinities; Mahalakshmi, Mahakali and Mahasaraswati. For a whole different approach to R&R, catch flights from London to Bangalore to aid your own spiritual journey. Luckily for you, India is known to be one of the most spiritually powerful places on earth meaning you’ll get to experience a whole different meaning to peace and relaxation here. David Felix, a 32 year old carpenter who is taking time out to travel and see more of the world before I get too old to enjoy it fully. I'm an easy going, flexible type of guy who likes to meet new people, wake up each morning not knowing what the day will bring and have fun. Follow my adventures and I shall try to describe each place I visit to the best of my abilities, giving you, the reader, a chance to form your own ideas. Happy travels and I hope to hear from you soon, Dave.